Repair Center for Dell - Expert Laptop Service Technicians. Hardware Repair & Upgrade Services. We offer extensive Repair and Upgrade Services for Dell Computers. Our professional repair technicians, service a wide range of Dell laptop and desktop models. We repair Dell Inspiron, Dell XPS, Dell Latitude Laptops, Dell OptiPlex, Dell Precision Desktops and other models. We perform hardware diagnostics, upgrades and repairs. Our techs restore your data and system, performing necessary repairs to get you and your system up and running. We are highly-skilled, cost-efficient, responsive, careful and offer quick turnaround times. Highly Rated - Sweet Memory Computer Repair & Business IT Support. Dell Inspiron & XPS Laptop Repair in San Francisco. Dell Latitude Laptop, Dell OptiPlex, Dell Precision Desktop Repairs. 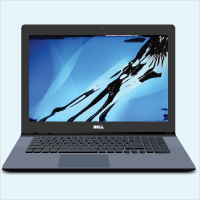 We offer cost-effective LCD Screen Replacements for most Dell Laptop models, Dell Inspiron, Dell XPS, and Dell Latitude. Our team of repair technicians provides the expertise, care, reliability and timeliness, when replacing your LCD Screen. 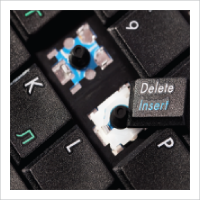 We offer cost-effective Keyboard Repair or Replacement for most Dell Laptop models. 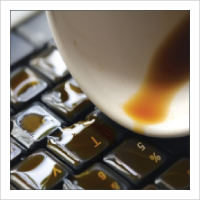 Our team of expert repair technicians will inspect, clean, repair keys, and replace the keyboard only if necessary. Our Techs are careful when inspecting and repairing your keyboard. We provide prompt quality service, with quick turnaround times. We provide cost-effective repair services for liquid spills, cracked display, case damage, broken connectors and other damage. We carefully inspect, diagnose and advise as to the extent of the damage. We clean, repair and replace parts with liquid spills. Accidental damaged parts will be repaired or replaced where needed. Vince : These folks really know what they are doing. I was nervous handing over my laptop, it's such an important possession. They fixed the dead screen at a fair price. Sam's quote was competitive, their time estimates were spot on and Steven was a wizard with my machine. Highly recommended. I won't hesitate to go back. Mellisa : I poured coffee all over my new mac book pro retina 13.3 late 2013. I was devastated. two different labs wanted to replace what they thought was the problem and could not guarantee that after replacing the computer would work again. I found Sweet Memory on Yelp and had the computer brought to them. They offered to fix it for less than half the price, kept me up to date about what was going on with the repair they had to order a part in and now the computer works beautifully again. I heartily recommend! Cheryl : I have been working remotely in SF quite a bit over the last several months and twice my laptop died on me. The folks at Sweet Memory were very familiar with the type of issue my laptop had and were confident they could resolve it. They did so quickly, on the same day, and without charging me a fortune. Their price was very reasonable. Highly recommend these gentlemen! Disclaimers: Images, logos, and trademarks are property of their respective owners. Items, descriptions, and prices are subject to change without notice. Items are similar to illustrations; multiple items depicted in a single image are displaying product group variety, see description for actual item detail. Apple, iPhone, iPod, iPad, Macbook, Mac are trademarks of Apple Inc., registered in the U.S. and other countries. Samsung, Galaxy, Galaxy S, Galaxy edge are all registered trademarks of Samsung Electronics Co., Ltd.
*Repair Special pricing, no other offers or coupons apply. Highly Rated - IT Computer Support, Computer Repair, Laptop Repair, iPhone & iPad, Galaxy Cell Phone Repair Center and Computer Parts & iPhone Accessories Store. Our Expert techs provide quick friendly service. Sweet Memory - DELL and Microsoft Expert Technicians Provide Service specializing in Dell Computer Repair, Dell Inspiron Laptop Repair and LCD Screen Replacement in San Francisco, California (CA). We Offers great Savings on Inspiron Hard Drive and Battery Replacement. Sweet Memory is committed to offer the best Dell laptop repair services in San Francisco, California (CA). 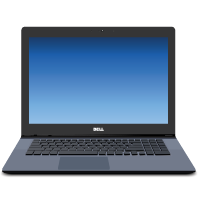 We specialize in replacement/repair parts for Dell Laptops.